Unfortunately, the old saying still rings true: “If something bad can happen, it will.” Thus, when it comes to your oral health, it’s best to be prepared for unwanted and unforeseen circumstances. 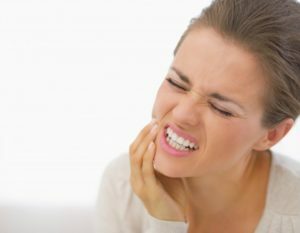 Your emergency dentist in Deer Park says that if you remember certain steps, you can lessen the impact of a traumatic situation. Continue reading to learn some helpful tips. In the case of a dental emergency, the first thing to remember is to not panic. Next, place a call to your local dentist. Facial Swelling – A common response to infection is facial swelling. Until you can be seen, be sure not to lie flat and drink plenty of fluids. Dislodged Tooth – If your tooth is knocked out, carefully grab it by the crown (the white rounded part) and reinsert in your mouth. Cracked or Broken Tooth – In the event of a cracked or broken tooth, just be sure not to chew on that side of your mouth until your dentist has restored its function. Bleeding from the Mouth – If you have a cut or excessive bleeding from something problem, you can bite down on a cotton swab to stop it. If the bleeding persists, then you should head to the emergency room immediately. Toothache – A toothache may be another sign of advanced decay that needs immediate attention. In the interim, you can apply ice to your face and take ibuprofen for pain relief. Object Stuck in Teeth – If you have an object stuck in your teeth, you can try to remove it using dental floss. Keep in mind that all of the responses listed above are intended to deliver temporary relief. Even if the problems seem to subside, it’s still imperative that you be seen by your dentist. If you participate in any sports activities, be sure to wear a protective mouthguard to prevent cracked or dislodged teeth. Practicing excellent oral hygiene, which includes brushing and flossing your teeth at least twice a day, will help prevent bacteria growth that leads to tooth and gum infection. Another way to prevent decay-related emergencies, is to visit your dentist semi-annually for thorough cleanings and tedious checkups. Thus, you’ll know for sure what the status of your oral health is and will better avoid surprises. To schedule a preventive visit or contact your dentist for emergency care, don’t hesitate reach out. Your dental professional’s goal is always to return to your normal life as quickly and efficiently as possible. A native of Deer Park, Texas, Dr. Jane Reeves earned her dental degree from the University of Texas Dental Branch in Houston. Since then, she has gone on to amass over 20 years of experience. Dr. Reeves provides compassionate and expert care at Deer Park Family Dentistry and can be reached for more information through her website.